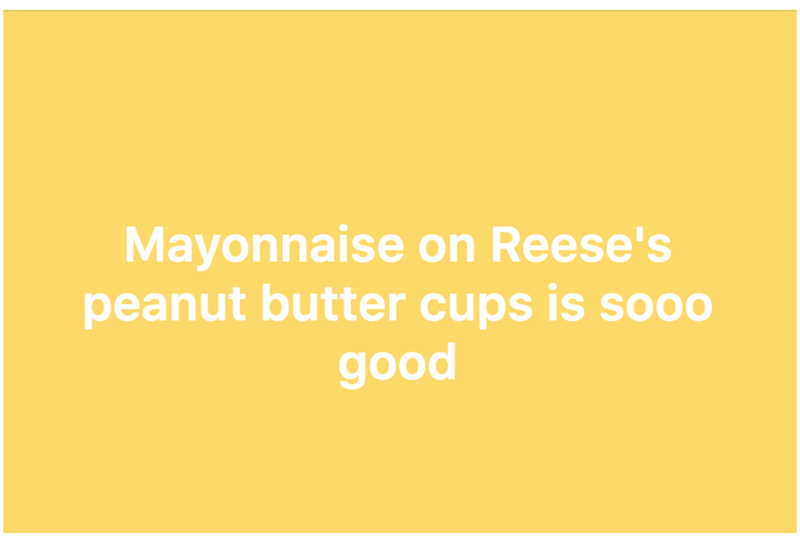 Therefore, I decided that I should make an article on the emotional stages of eating a Reese's Peanut Butter Cup with mayo. This list is a doozy, so be prepared. End of article. Just don't do it, please. Cover Image Credit: You Know What's Good With That?